The original age of this exotic knife is not known. Found in every country that has been inhabited by the Arabs. This example is of the form found in Persia and India. 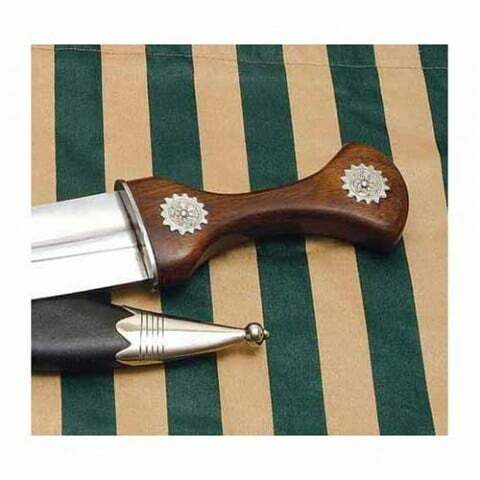 Stylish solid hardwood grip with decorative rondels. 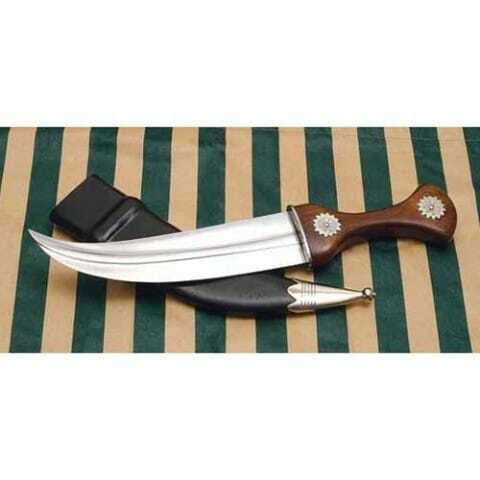 Comes with an attractive hardwood scabbard covered in thin black leather with nickel tip.